Would You Climb A Mountain for Charity? Millennials (those young, tech savvy, and passionate younger donors) will – as I learned at last month’s Millennial Donor Summit. Millennials don’t just want to write a check to your organization – they want to combine their personal passions and interests and engage others in your mission. Are you facilitating this with your fundraising approaches? The Parkinson’s Association is doing just that. They have organized a fundraiser called “Summit4Stemcell.” The goal is to fund non-embryonic stem cell research that will result in a treatment for Parkinson’s while inspiring people with the disease to move beyond their physical limitations. A group of 17 passionate mountain climbers is raising money for this project by climbing Mt. 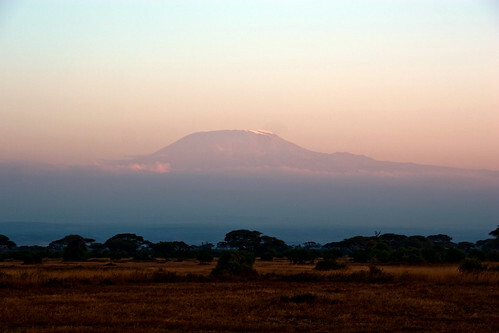 Kiilimanjaro (19,340 ft high!) in September. You might be wondering why I’m writing about this? It’s personal. My cousin, Rebecca Kanter (a millennial) is one of the climbers. She is doing the climb in honor of my Dad who is suffers from Parkinsonism – there is no cure. You can treat the symptoms and my Dad is working very hard on doing physical therapy which has allowed him to walk, with a walker. Having been a competitive swimmer and surfer, he knows the discipline of working hard for a goal. It was not unlike how he has worked hard as a doctor and in the Navy during WW2. Having done some research into climbing Kilimanjaro, I understand what an enormous physical undertaking it is. And having a relative who suffers from Parkinsonism, I understand some of the physical challenges the condition presents. Just weeks before, my father had returned from a trip to New Jersey where he was visiting his uncle, my great-uncle Earl. Uncle Earl — my grandfather’s only living brother — was a prominant doctor in his community before he retired. Uncle Earl has Parkinsonism, and was in the hospital for his health-related issues. His family has since brought him home, but as my father described to me, they’re having to make adjustments to the house to accomodate my uncle’s physical challenges. Listening to the NPR report, especially the voices of the people (who I would later learn were Ken and Brad) taking on this enormous undertaking of sumitting Kilimanjaro while dealing with Parkinson’s, made me think about my Uncle Earl, the challenges he is facing in his life, and the opportunities — like summiting a mountain — that are no longer available to him. I was overwhelmed by the inspiration to do something. If you want to help find a cure for Parkinsons and cheer on my cousin, Rebecca, and inspire Dad to continue to work beyond his physical limitations, please consider a donation to support this research in honor of my Dad or Rebecca. Thanks Claude, really appreciate it!